Ewao.com | On January 27th of this year, a Mongolian Buddhist monk believed to be over 200 years old was found in the Songino Khairkhan province. 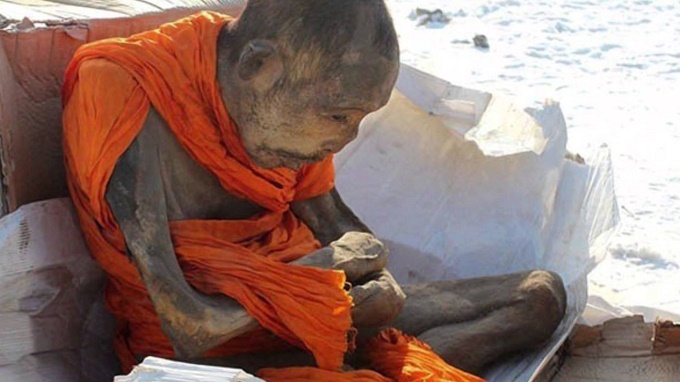 Although he appears to be mummified, he is believed to actually be in “deep meditation” and is “not dead”. 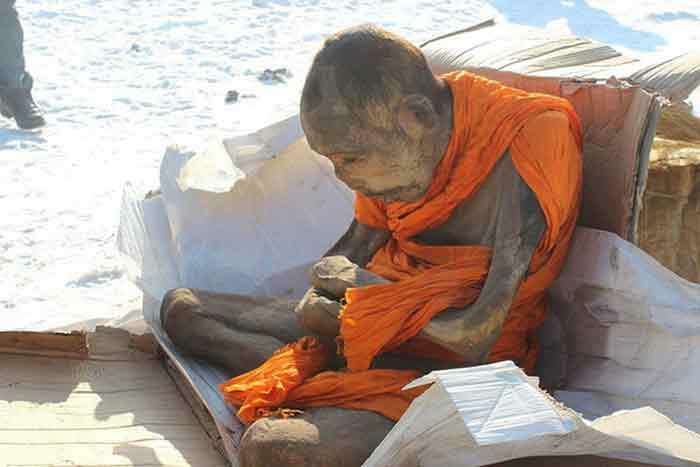 The monk was found covered in cattle skins and in lotus position with open palms, as in the “dhyaan mudra“. ‘I had the privilege to take care of some meditators who were in a tukdam state. If the person is able to remain in this state for more than three weeks – which rarely happens – his body gradually shrinks, and in the end all that remains from the person is his hair, nails, and clothes. Usually in this case, people who live next to the monk see a rainbow that glows in the sky for several days. This means that he has found a ‘rainbow body’. This is the highest state close to the state of Buddha’. He added: ‘If the meditator can continue to stay in this meditative state, he can become a Buddha. Reaching such a high spiritual level the meditator will also help others, and all the people around will feel a deep sense of joy’. 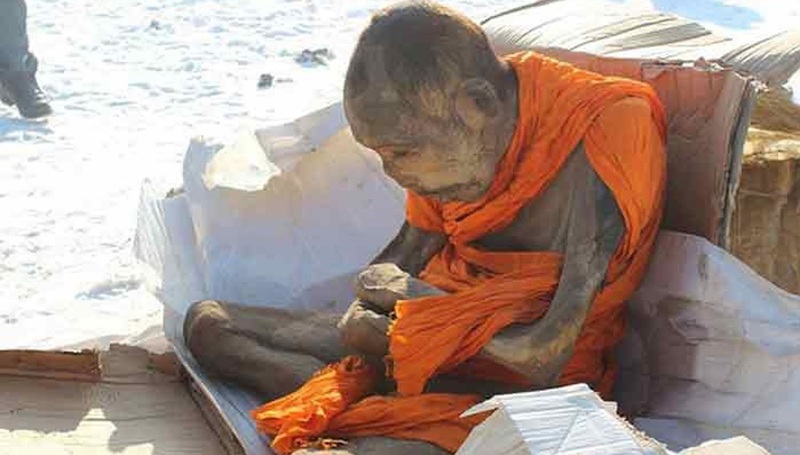 Speculation arose as to who this monk was. Initially, he was thought to be a teacher of the Lama Dashi-Dorzho Itigilov. Dashi-Dorzho Itigilov was a Buryat Buddhist Lama of the Tibetan Buddhist tradition, best known for the lifelike state of his body, and was born in 1852. In his case however, he instructed his followers to exhume his body 30 years after his death. They found his body barely suffering any decay, and in the lotus position. ‘Lama is sitting in the lotus position vajra, the left hand is opened, and the right hand symbolizes of the preaching Sutra. This is a sign that the Lama is not dead, but is in a very deep meditation according to the ancient tradition of Buddhist lamas’, said Ganhugiyn Purevbata, who is the founder and professor of the Mongolian Institute of Buddhist Art at Ulaanbaatar Buddhist University. According to The Telegraph, the mummified remains of the Mongolian monk have been taken for examination to the Ulaanbataar National Centre Forensic Expertise.